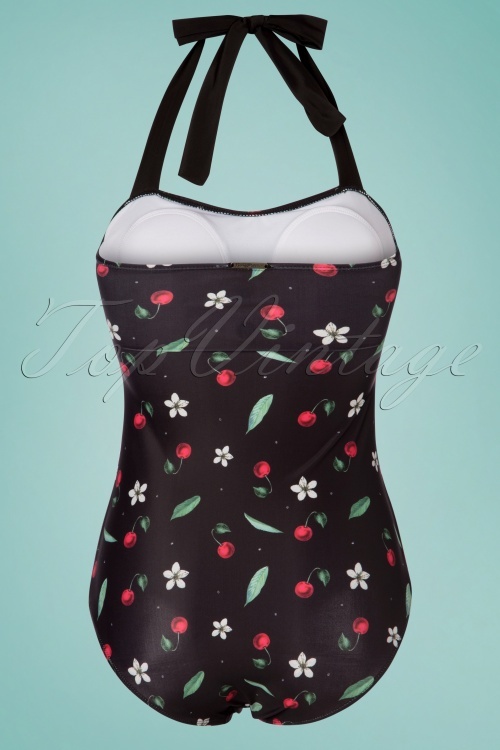 Brand New Label ~ Have a cherrylicious summer with this 50s Cherry Blossom Swimsuit in Black! 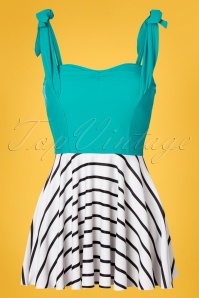 She features molded cups with an elastic band ensuring extra support, while the contrasting halter straps can be playfully tied behind the neck. 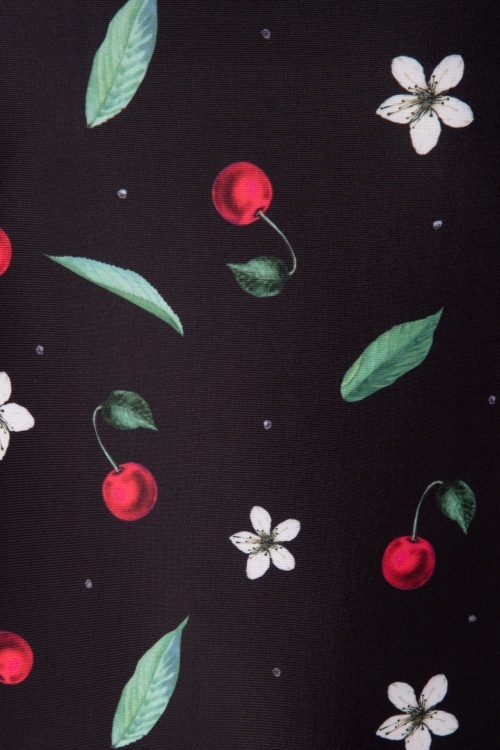 Made of a comfy and stretchy black fabric with a print of juicy red cherries and white blossom, which is a joy to wear and fits perfectly. 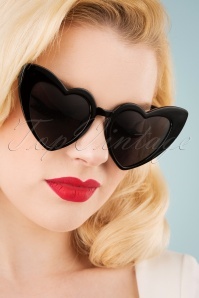 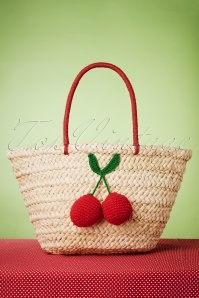 This beauty will be the cherry on top of your retro swimsuit collection!